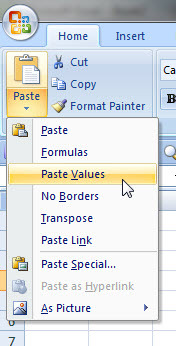 The Paste Special dialog offers a number of pasting options and one of them is Paste Values. There are a few ways to Paste Values. Try the first three techniques after you have copied the cell or range and navigated to the destination cell. 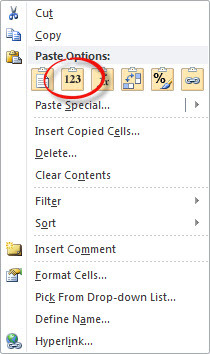 Right click and click the Paste Values icon, it has 123 on it. 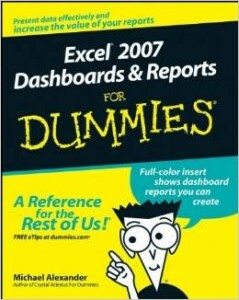 This works in Excel 2010 onwards. 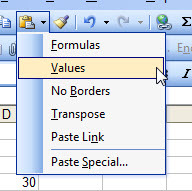 To Paste Values in all versions you can click the Paste toolbar icon drop down and select Values (2003) or Paste Values (2007 onwards). 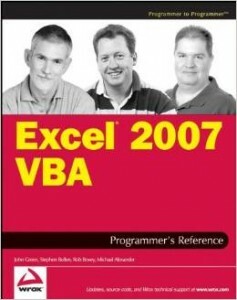 The last image shown above is from Excel 2010 and has a few extra Paste Values options, where you can keep the number format or all formats. To Paste Values press the keys in sequence Alt h v v (do not hold the keys down). This technique works best when you are pasting the values close to the source. A right drag involves selecting the range and then using the right mouse button to click, hold and drag the selected range. This can take some practice, but it is worth the effort. You need for use the arrow shaped icon to drag, which appears on the border of a selected range or cell. 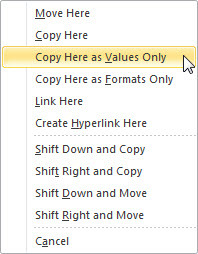 When you release the mouse one of the options is Copy Here as Values Only. I use this technique to quickly paste values on top of existing formulas. Select the range and then click, hold and drag with the right mouse button to the right and then immediately drag back to the left on top of the range and release the mouse and select Values Only option. 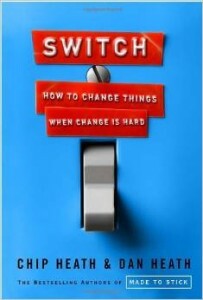 This technique works to remove temporary formulas that you may have created to fix a data issue.